You've created a custom workout, and you know it's a good one. It really put the hurt on, and now it's time to share the challenge with your teammates. 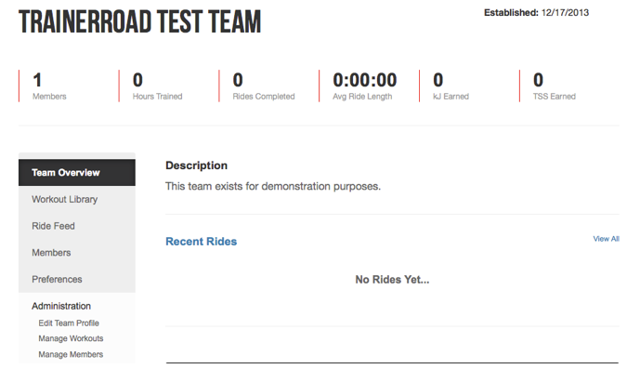 Let's see how to share a custom workout with your team on TrainerRoad. You'll need to be a team administrator in order to share custom workouts with your team. If you'd like, you can request that your current team administrator add you as one as well. Learn more about adding team members. Step 1: Select "Mine" from the Libraries option to display only your custom-created workouts. This is a close-up of what you'll select. Step 2: Select the workout(s) from the list that you'd like to add to your team. Click the check mark to add a workout to a team. 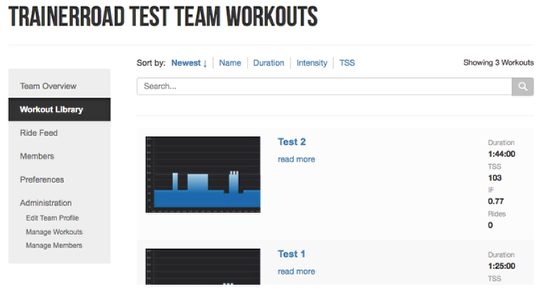 Step 3: View your team workouts in the Team's Workout Library. If your teammates don't see your custom workouts in their app, have them go to the Info tab in their local TrainerRoad app and click the "Resync Workouts" button. This should download any workouts you've shared with your team to their local apps. They should then be able to search for your shared custom workouts in the Workouts tab under the TrainerRoad sub tab. Step 2: Click "Manage Workouts" and then click "Add"